The days of flat hair are bygone with the 90s and big, bouncy hair is back. To achieve that luxurious look, while maintaining the sleek, updated styles, follow these tips. Your hair will surprise you, even if it’s thin or fine. Starting with freshly washed hair, apply product to the roots. The best types for height and volume are gel and mousse, designed to stiffen the hair. 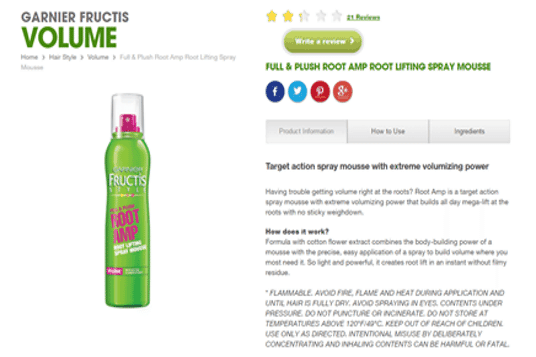 Garnier offers a line of products including Full and Plush Root Amp Root Lifting Spray Mouse. I think the name says it all for that one. Use a fair amount on the roots around your face and behind your ears. Depending on the length of your hair, us as much as a grapefruit sized puff of the mouse. Comb or brush out your hair before you blow dry. You may lose some curl at this stage, but if it’s in your plan, you can get them back. Turn your head upside down to blow dry, and target the roots FIRST. By doing this, you will set the product you used and give your hair a lift. Stay focused on the root area, starting with the back of your head, and working your way forward as you dry. Don’t be afraid to add more product (jell, mousse) if you’re not getting the results you want on the first try. As you blow dry your hair, leave the brush on the counter. As you section off areas to dry, scrunch up a bunch of hair in your fingers and dry directly in that spot. You can move from the crown of your head to the front using this technique. When you get to the front and finish scrunching and drying the roots, flip your hair over and marvel at just how big it can be. If you want curls or waves, continue scrunching the length of your hair as you blow dry on the low setting. If you want a sleek, straight look, use your brush to lightly dry the length itself without pulling too much on the roots. For a true 80s heyday, big hair look, go forward and tease! After your hair is dried, lift a section that you want to stand out, starting with your bangs. 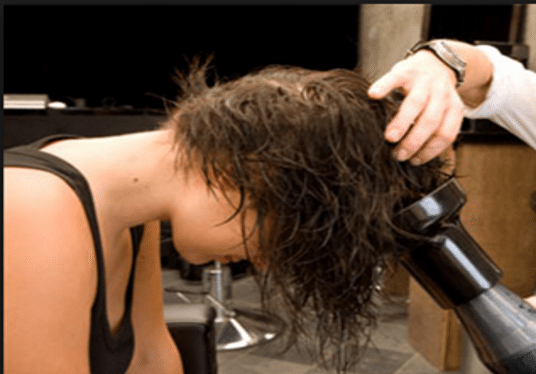 Hold the section up and gently comb backwards towards your scalp. It won’t be easy to brush through at the end of the day or event, but teasing will certainly give you volume. When you finish with your bangs, move towards the back of your head until you reach the crown. With the top teased up, balance out the sides to frame your face. Or just go crazy on the Bride of Frankenstein look and have a blast. If you followed all the steps above, you might as well hold on to that hairstyle, and the best is the old fashioned way – lots of hairspray. 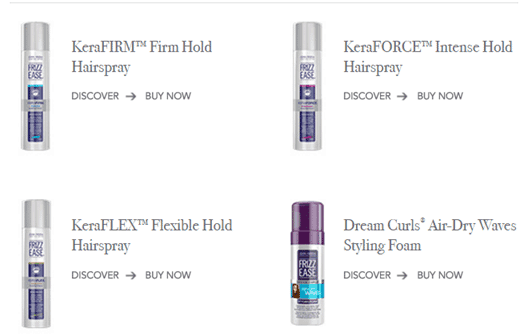 Drug store shelves are packed with all kinds of super-hold sprays and products. Frizz Ease offers Firm Hold, Intense Hold, or Flexible Hold hairsprays, It’s up to you how much movement you want once you are doing the finishing touches. To make sure you keep the height and volume you created, turn your head over again and spray the roots first. Flip your hair back up, make any adjustments necessary, then spray your whole head, making sure to shield your eyes when you spray around your face. Smooth it down, or scrunch your curls back up and you’re ready to go.